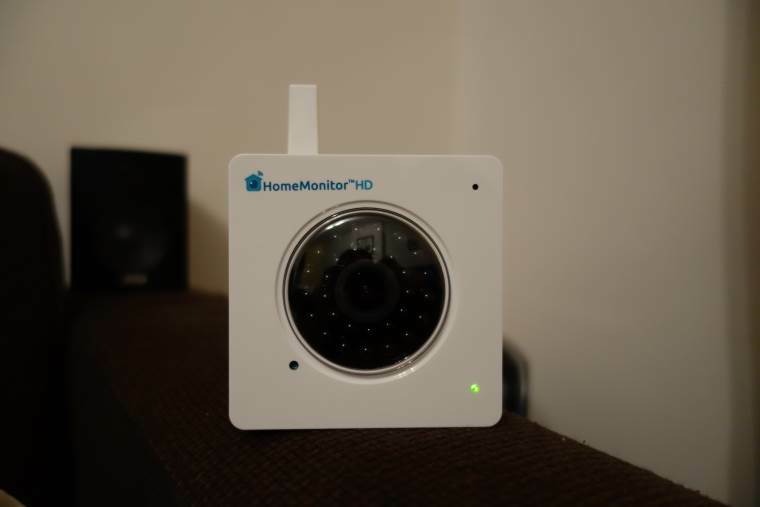 The HomeMonitor HD is an indoor Wi-Fi security camera that does HD video and can be setup inside any house large or small. The company has created it to be as simple to setup as possible, and I have to say it took less than 5 minutes to be up and running here at home. Included in the box is everything you will need to either set it up in the corner of a room on a stand, or attach it to a wall. You get the HD HomeMonitor Camera, a Stand/Wall ceiling mount, the power supply, a 1m Ethernet cable and various screws that can be used if you want to. Once you have taken everything out, you can choose how you want to run the HomeMonitor HD, either via Wi-Fi or through an Ethernet cable. Either way you will first need to connect the camera up to your router via the provided Ethernet cable first, so that you can create your online HomeMonitor account.